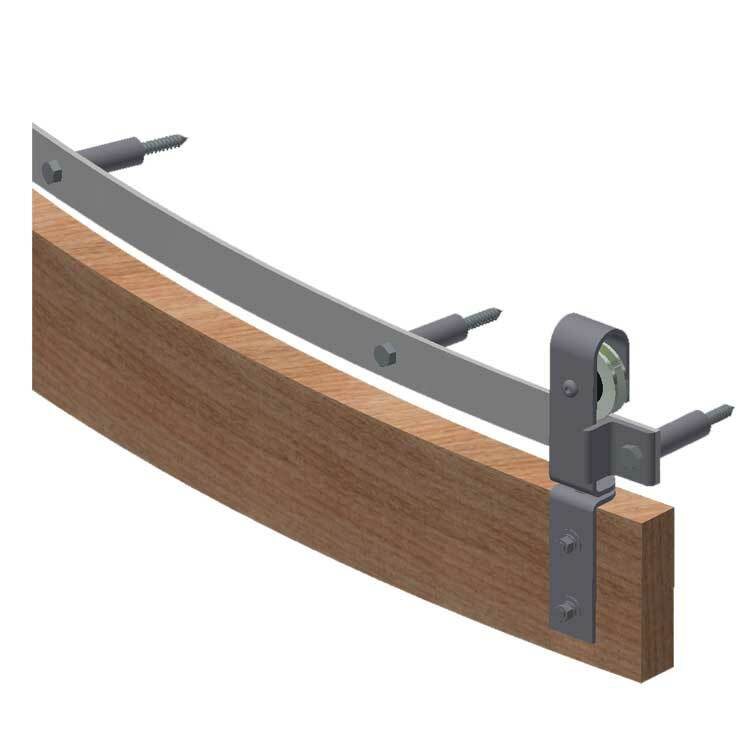 This type of application, also refered to as slide-a-side, uses curved track to slide doors to the side of the wall. Click here to view photographs of Crown Industrial's Projects Gallery for round corner sliding applications. 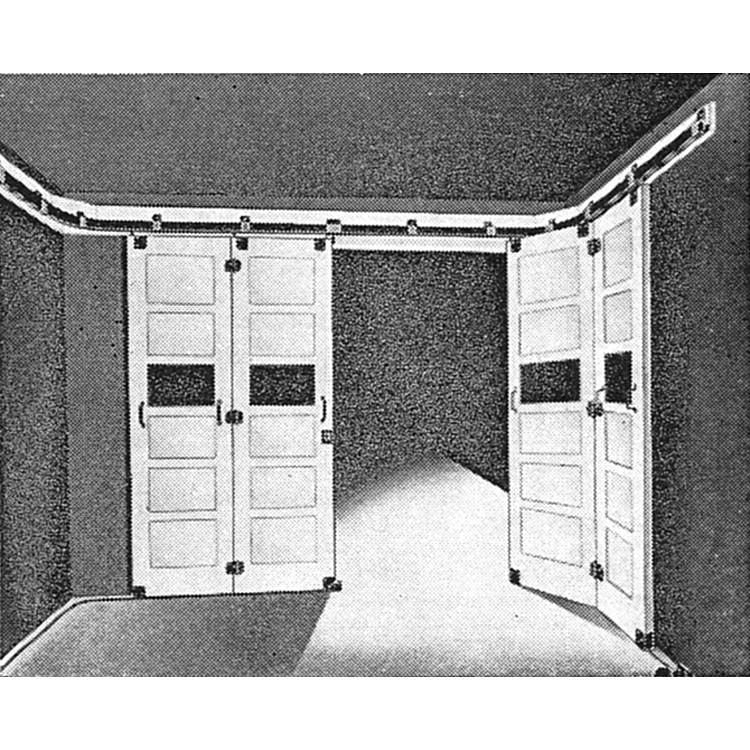 Bi-parting round the corner door system. 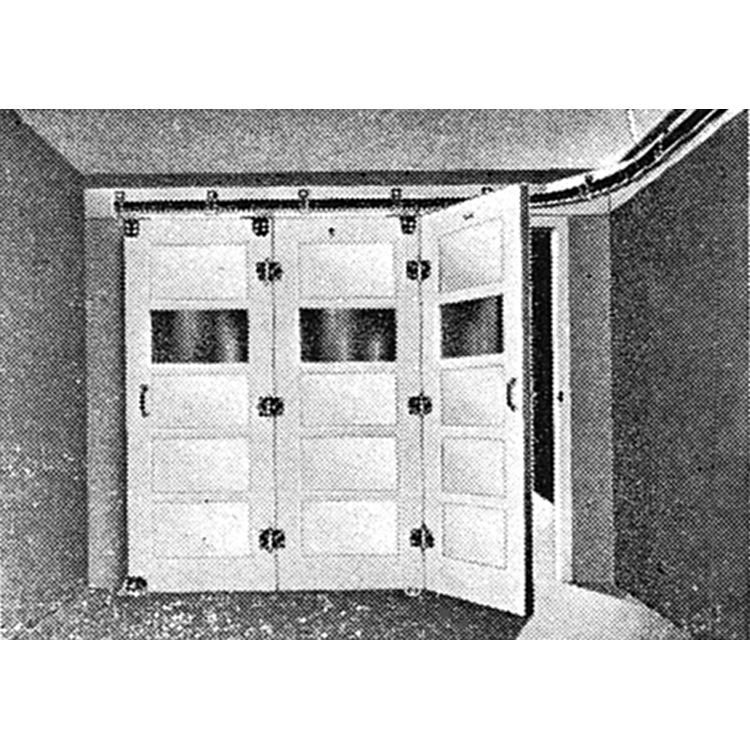 Single sliding round the corner door system. 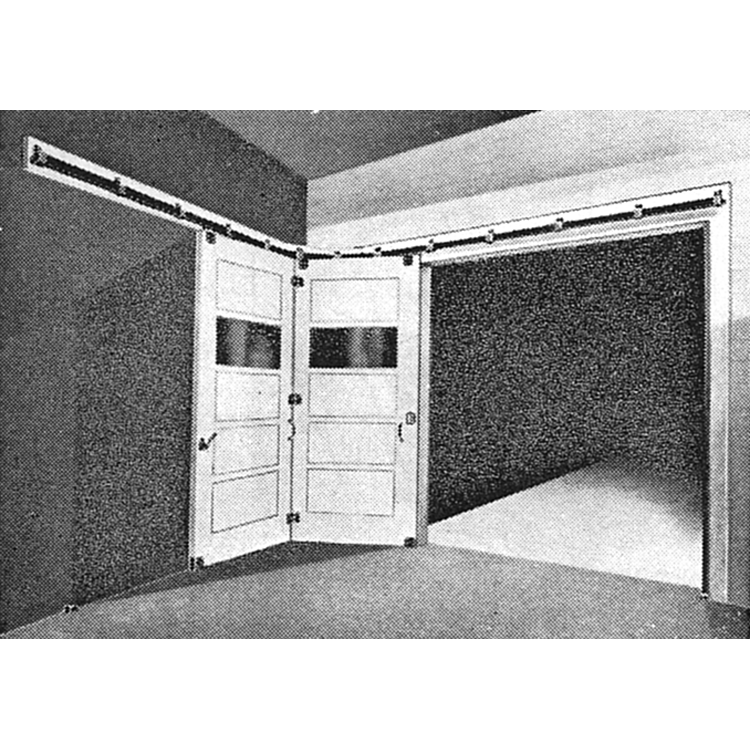 Single sliding round the corner door system with a pass-thru door. The hardware can be concealed in the header above an opening for a clean look. Track Radius can be smaller. More appropriate for exterior applications. #5 Box Track Hardware set can support a maximum door panel weighting up to 500lbs each. #25 Box Track Hardware set can support a maximum door panel (each) weighting up to 1,250lbs each. Architectural hardware: when hardware components are desired to be seen. 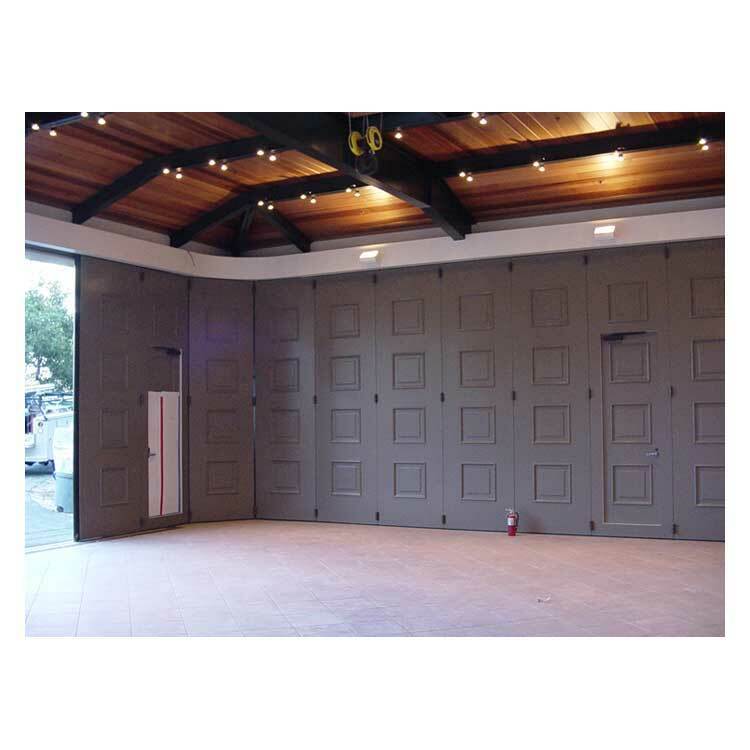 This hardware is intended for light doors from 1-3/4" to 2-1/4" thick and not more than 40" wide, that run around the corner inside of the garage and stand out of the way against the side wall when the doors are open. Provides for an entrance door without additional doorway.